Download the Importer and Exporter scripts and paste them in the Blender/.blender/scripts directory. So u have ur weapon finished in blender, uve U/V mapped it and ur ready to go. Now go to where it says load and click the upwards facing arrow, ur U/V map image should be there, so click it. 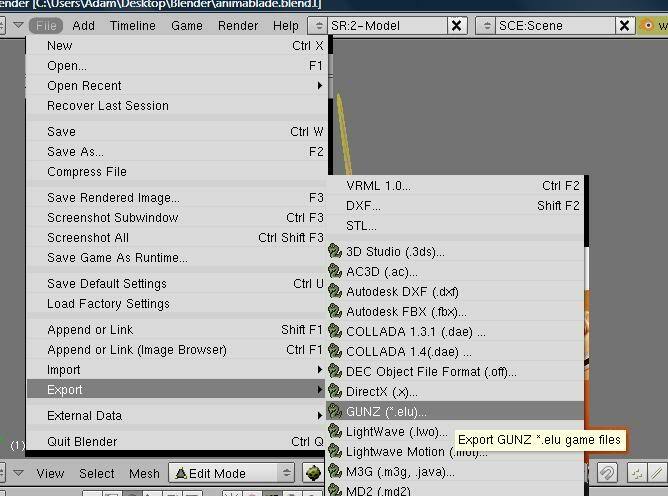 Now go to the top and click file, then Export, and look for GUNZ (,*elu). Click it and save your ELU file. If all goes smoothly it should go back to ur model. Now, important! The middle of the blender grid where all the lines (blue, green, red) intersect is where the hand will go. If you are making a sword it should face straight up with the handle in the middle of the intersection. Make it fairly large. For a gun make it face forward with the place where you want the hand to go (the handle) in the intersection. Otherwise it will look f***ed up in game. Your items should be bigger than the grid. C:\Users\Adam\Desktop\Gunz[Debug]\GunZcool.exe /game "mansion" debug "00"
This will open the game in the pre-set environment of mansion (it wont work otherwise). 1. 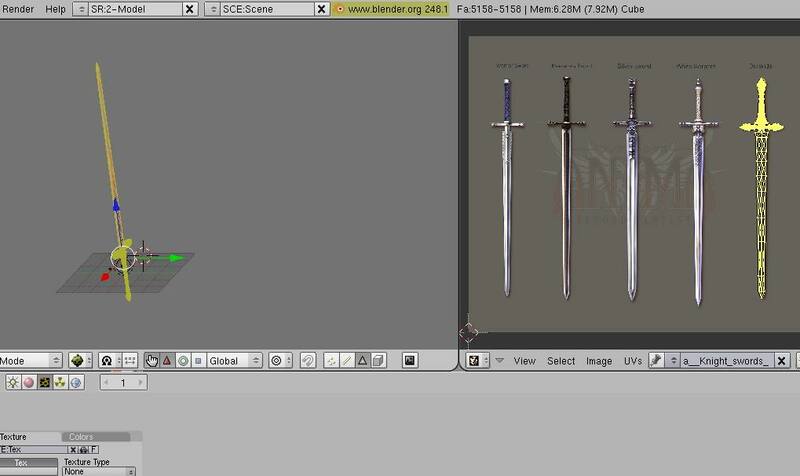 If your making a sword go into the katana folder. There you should see two files, one called katana03.elu and another called katana03.bmp. Delete (or move) the Katana03.elu file. 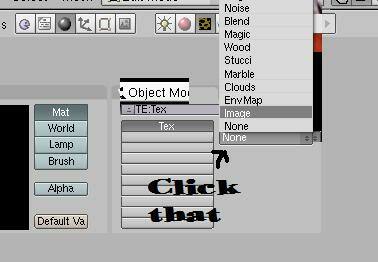 Then take your ELU (the one you made) and paste it in the folder, along with the img u used for the texture. Rename your ELU file katana03.elu DO NOT RENAME U TEXTURE FILE!! 2. If your making a gun go to the shotgun folder where u will find a shotgun03.elu and a shotgun03.bmp. Same idea as before, replace and rename. This will compile your model folder into a .mrs. Copy it and replace the one in the gunz[debug] folder. Then click the shortcut you made earlier. It will take awhile to load. IMPORTANT: YOU CAN ONLY CHANGE THE KATANA AND THE SHOTGUN FOLDER!! NONE OF THE OTHERS WORK!! You may find when you enter the game that the weapon is too big or too small. To fix that go back to your original blend file, edit the size to an appropriate amount, and resave the ELU file. Then replace the current katana03/shotgun03 and re-compile the .mrs. Hope this helps! Enjoy your editing! !